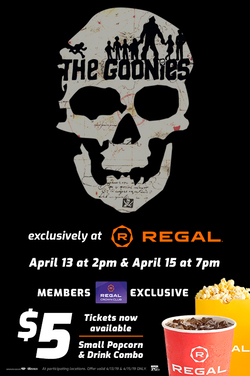 Regal Cinemas is bringing back 1985’s The Goonies in April, continuing the tradition of other $5 Regal rereleases. The theater chain previously rereleased other Warner Bros. movies, such as Nightmare on Elm Street and The Lord of the Rings in a similar fashion. Tickets are $5 for RCC members (membership is free) and $7 for non-members. A promotional poster for the two-day rerelease. The film was released in a digital remaster for its 25th anniversary on Blu-ray in 2010. 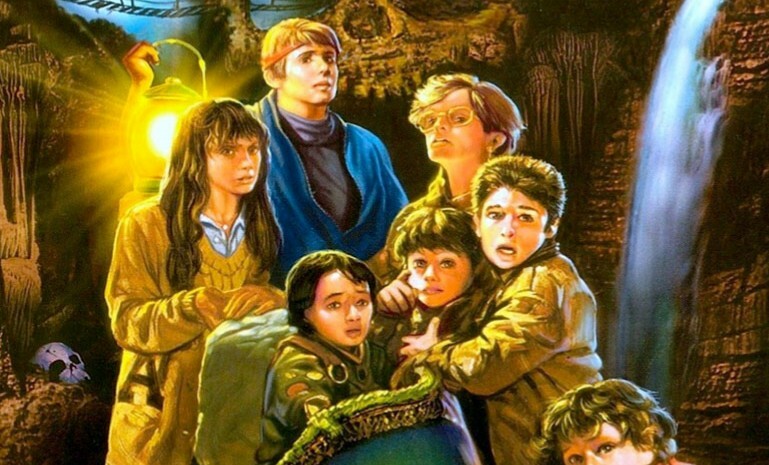 Being originally released in 1985, the film will have its 35th anniversary next year, for which one can assume some form of celebration as well. Perhaps a larger rerelease or even a 4K remaster. In the meantime, tickets for Regal’s two-day rerelease are now on sale. Follow Rerelease News on twitter.